Walking into a cosmetics store to buy a makeup brush can be extremely overwhelming for a beginner. All makeup brushes are not the same and they are not all created equal. Different brushes have different uses and as a result using the wrong brush can have unflattering consequences. This article will explain the difference between natural and synthetic brushes. This article will also explain which type of brush is to be used for various parts of the face. Readers will have a better understanding of makeup brushes and which type will work best for them. Makeup brushes can be broken down into two categories: natural or synthetic. Natural bristles are made from animal hair, usually sable, goat, or squirrel. Sometimes the hair can come from other animals and companies will let customers know which, either on their packaging or website. Natural hair brushes are very soft and are great for powder products. Synthetic bristles are manmade. The materials used for these brushes include but are not limited to nylon, polyester, and taklon. These brushes are great for liquid, cream, and gel products. Applications are more precise because they soak up less product and do not have the same range of motion as a natural hair brush. It is not a great idea to use liquid products with natural hair brushes because the animal hair soaks up liquid causing a great deal of wastefulness. The bristles also tend to clump together. Those that prefer natural hair makeup brushes would do better to use a beauty sponge for the liquid products. 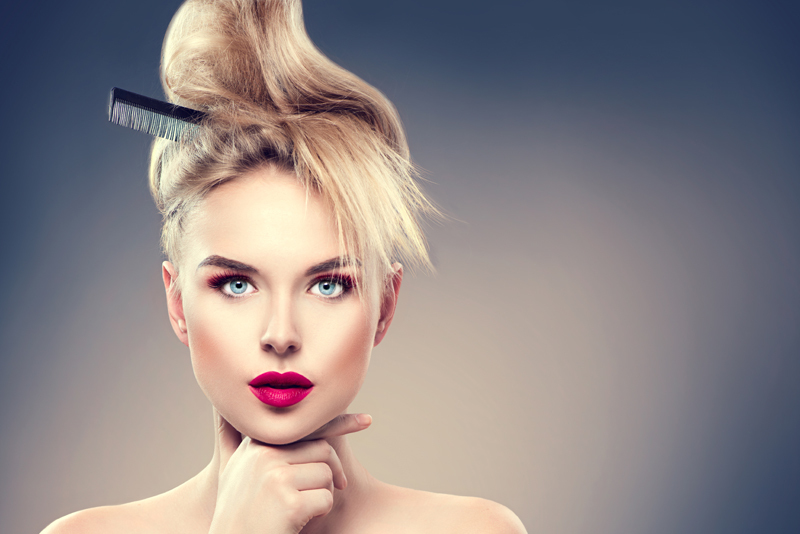 There are synthetic hair brushes that can be used for powder. They may not work as effortlessly as an animal hair brush, but they can still do a great job. Those that prefer all synthetic brushes will not have a problem finding brushes that fit their needs with a little bit of research. Once past the synthetic versus natural hair choice, it comes down to learning what the different types of brushes are used for. Foundation Brush: These brushes are used for applying foundation to the face. The bristles vary in length for a smooth application. The ideal brush not only stipples foundation onto the face but also buffs the foundation in for a flawless finish. A liquid foundation brush will appear as flat tapered brush. Start at the nose and blend outwards. A brush that can be used for either liquid or powder foundation will appear as a round brush with a flat top. The liquid foundation can be stippled then buffed, and powder foundation can be buffed in with this brush. Concealer Brush: The concealer brush is used to pat concealer into the skin. This brush has small, flat, tapered bristles for precise application. There is also the pointed concealer brush. This is for even more precise and small areas. Contour Brush: Contour brushes come in a few different shapes and sizes. There is the angled brush to dust on the contour in precise motions. This angled brush is not to be confused with the angled blush brush. The angled contour brush has firmer bristles. There is the pointed contour brush that can be used to precisely apply powdered products. Lastly, there is the brush with the rectangular shaped end. Blush Brush: Blush can be applied with the rounded blush brush. This brush is fluffy to lightly dust blush onto the apples of the cheeks. There is also the angled brush to sweep towards the ears. The bristles are soft to prevent harsh lines when applying. Fan Brush: The fan brush is for highlighter. They make larger fan brushes and small fan brushes. The large brush is for larger areas of the body, and the small brush is for more precise application and smaller areas. Lightly tap the brush into the highlight and then dust across the cheekbones, above the eyebrow etc. Powder Brush: These brushes are large and round. The soft bristles can be used to apply powdered products over large areas. It is multiuse. Lip Brush: Lip brushes are small and flat. They are also tapered for precise application. Angled Brush: The small angled brush is typically for eyebrows. The best ones are fine so that they can mimic small hair strokes and outline brows. These brushes can also be used to create winged liner. Eyeliner Brush: This brush is very fine and pointed. They are designed for liquid and gel liners. Blending Brush: Eyeshadow requires a lot of blending. It is a good idea to have more than one blending brush on hand. These brushes blend out hard lines and blend colors together. They are small and circular with fluffed bristles. Smudge Brush: A smudge brush is a small densely packed brush with a flat top. This is used to smudge liner along the upper or lower lash lines. Shade Brush: Small, flat brush with a rounded edge. These brushes are for picking up shadows and spreading them evenly over the lid to pack on color. This brush is also ideal for carving out areas on the eyelid. Lash and Brow Comb: This tool tames brows and combs out clumps in eyelashes.